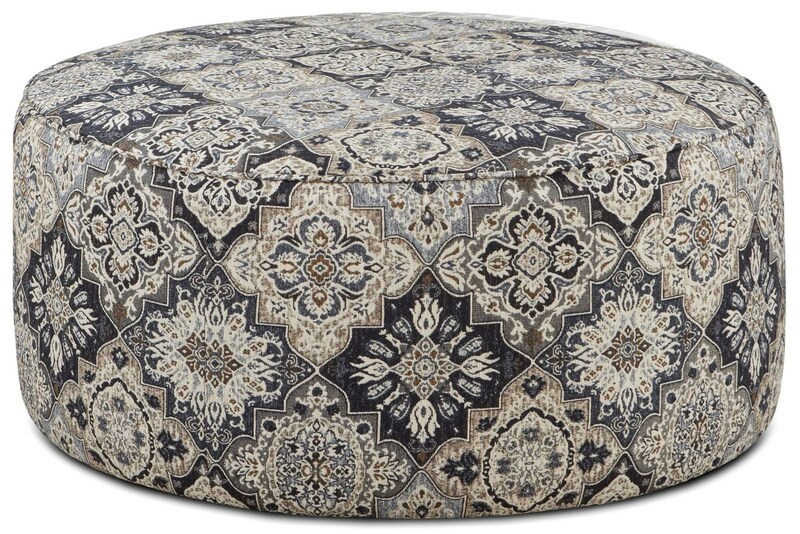 A fun print fabric adds lively style to this round cocktail ottoman. 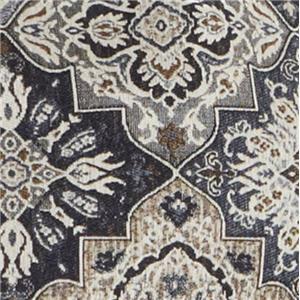 It's a versatile piece for the center of your living room seating group. The 140 Round Cocktail Ottoman by Fusion Furniture at Royal Furniture in the Memphis, Nashville, Jackson, Birmingham area. Product availability may vary. Contact us for the most current availability on this product. Frame Construction A large majority of frames are constructed with all hardwood. The remaining styles are made of a mixture of hardwood and densified fiberboard, a furniture specific compact plywood alternative. The stress points are reinforced with blocks to secure a long lasting frame. The traditional method of nailing frames together is used for strength and stability. Padding & Ergonomics Industry standard 1.8 density foam with compressions varying according to cushion size. 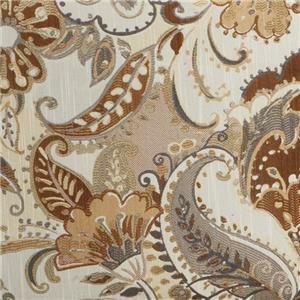 All cushions are Dacron wrapped.